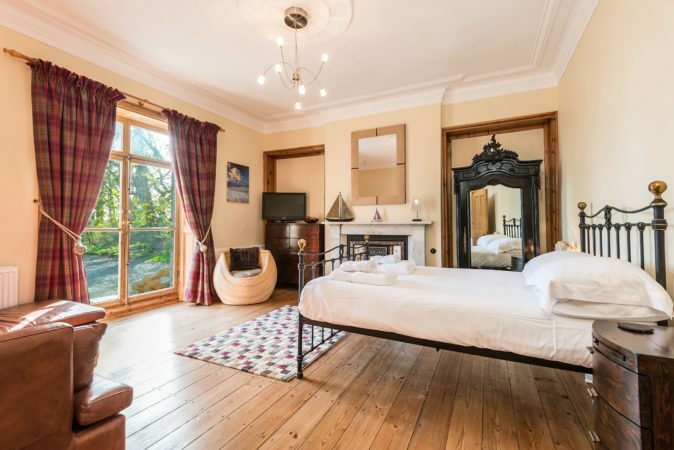 Book Palmer’s for luxury with a capital L! 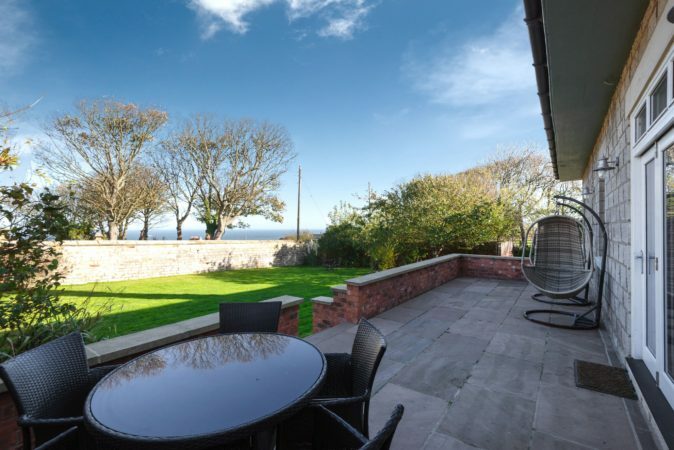 This historic ‘bungalow’ takes inspiration from Marseilles’ architecture and is a short distance from Staithes and Runswick Bay. 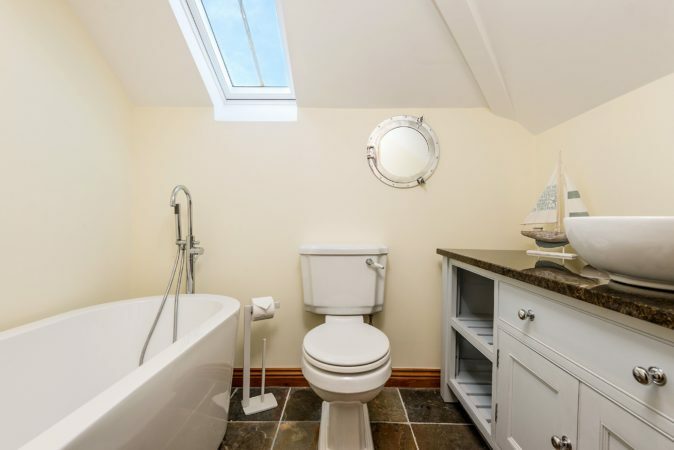 Plenty of space for 8-10 guests. 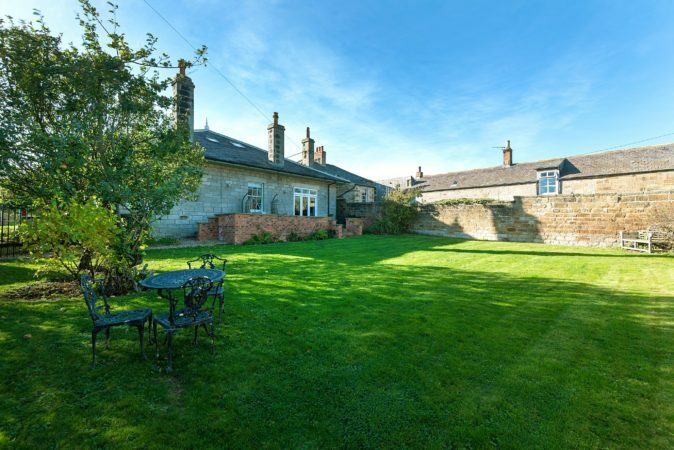 The detached Georgian house was built in 1857 for mining entrepreneur, Sir Charles Palmer. 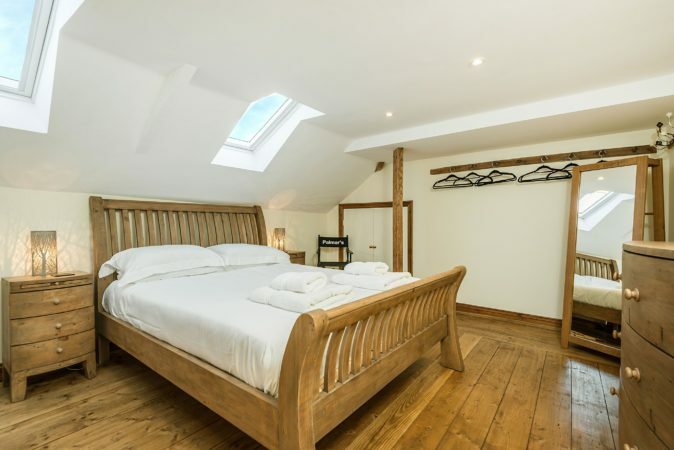 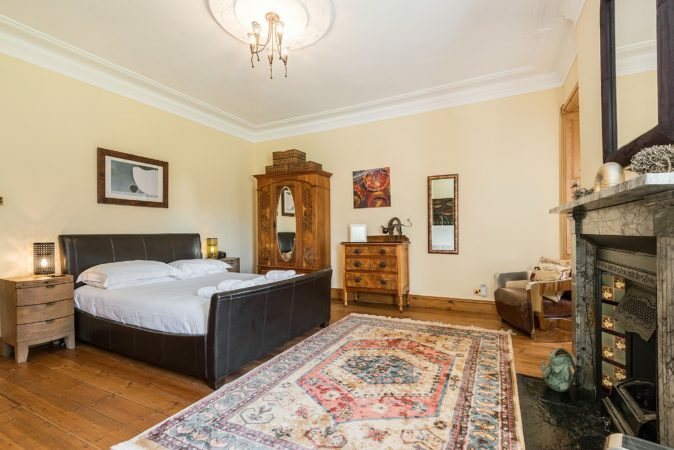 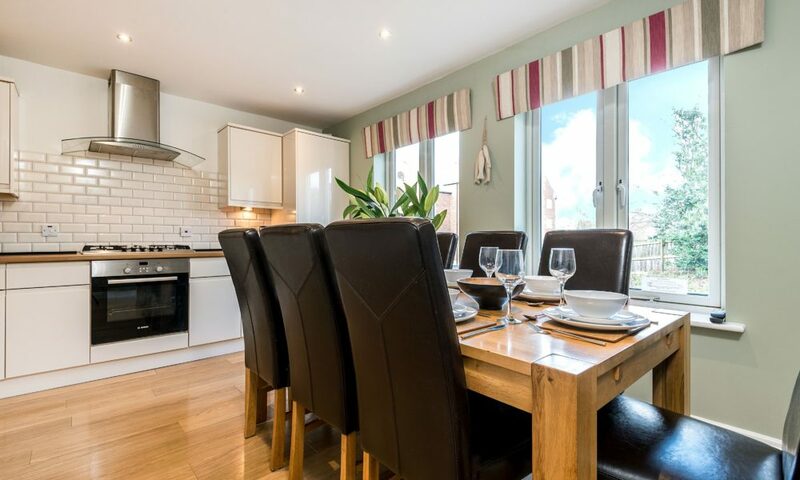 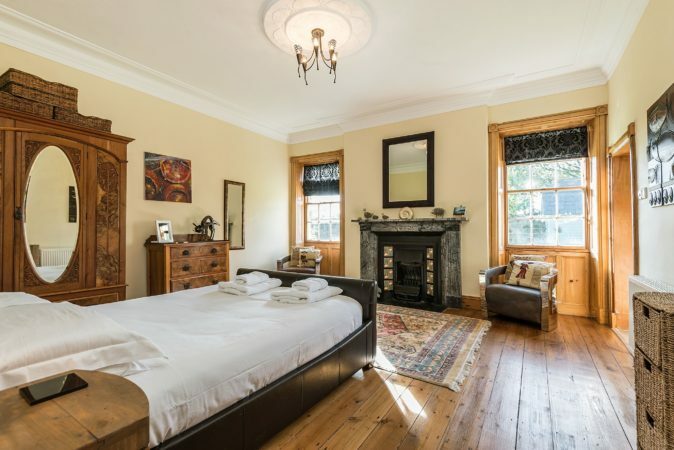 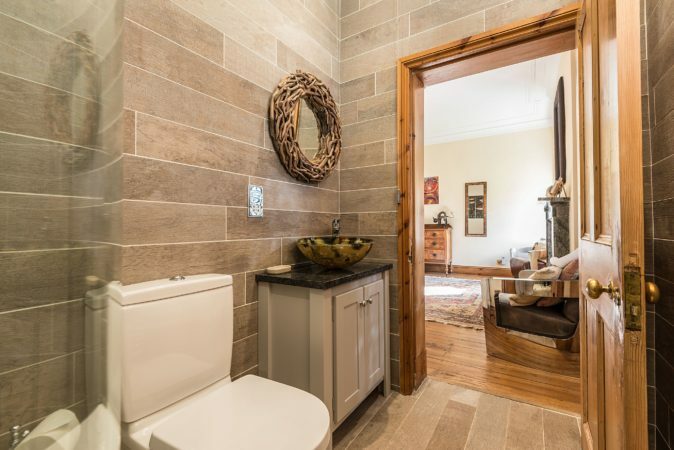 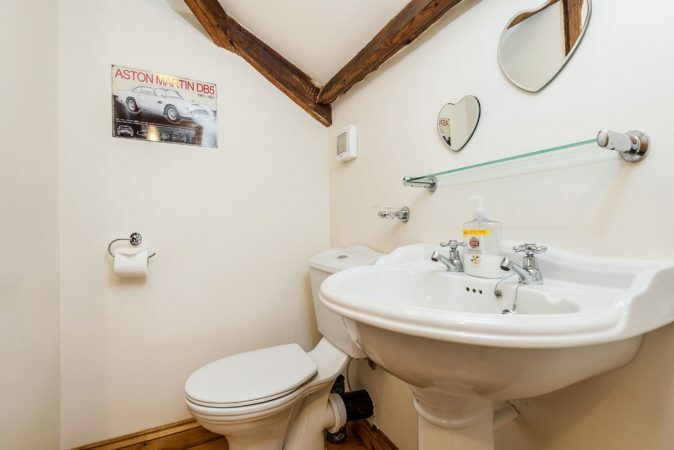 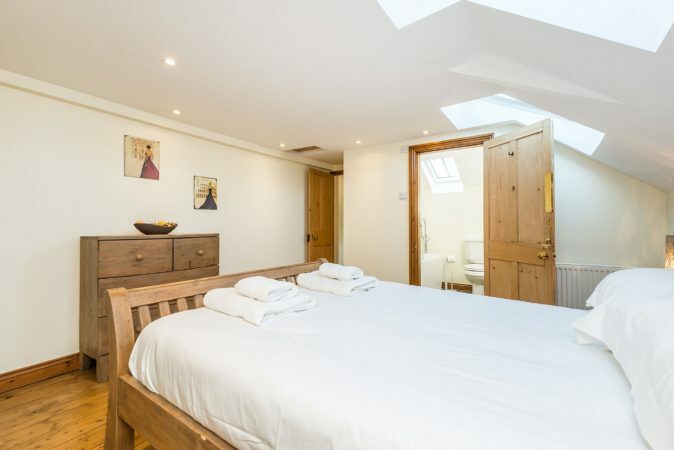 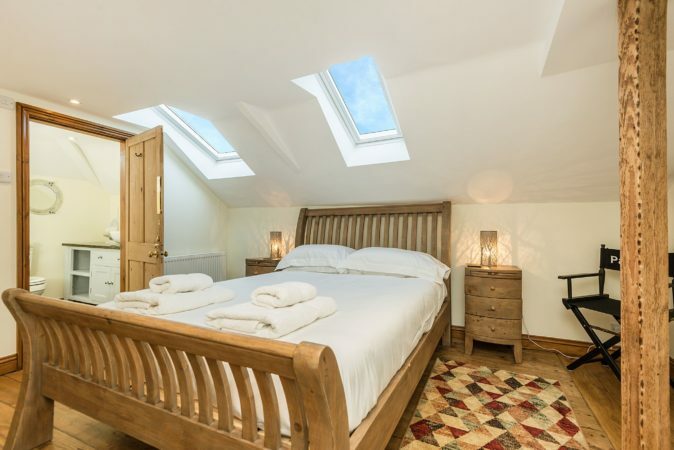 It’s where families can converge, sleeping eight guests in four bedrooms – two of which are en suite. 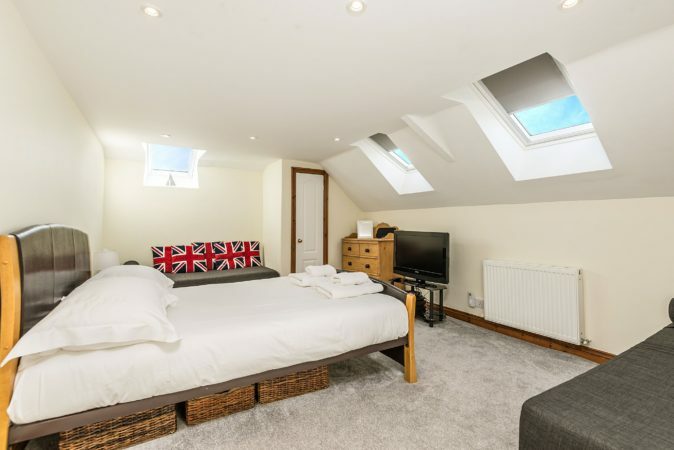 The family bedroom has two extra pull-down beds and a Playstation to keep the entertainment flowing. 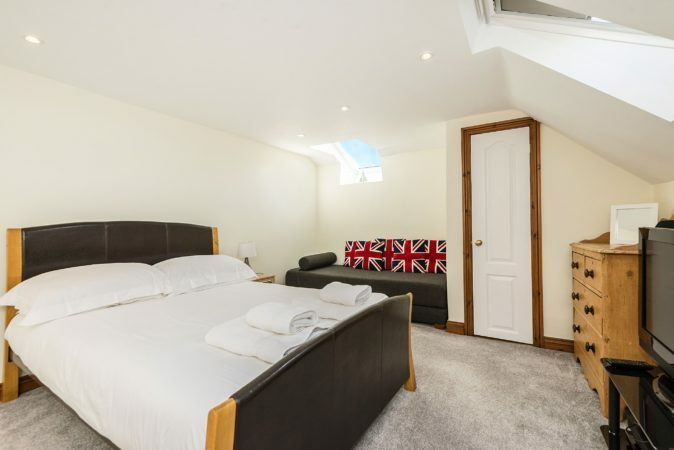 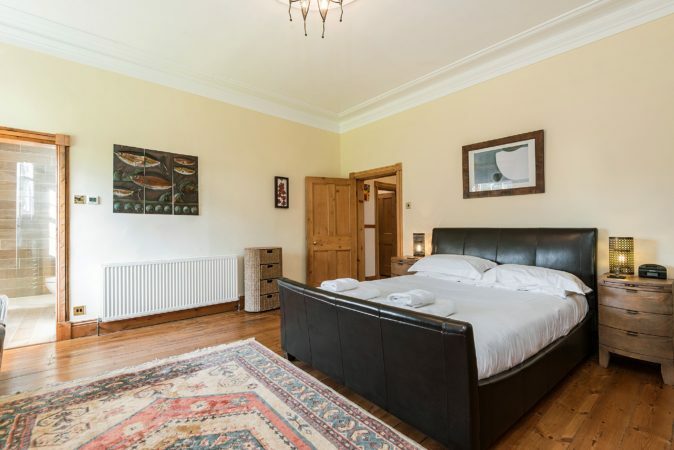 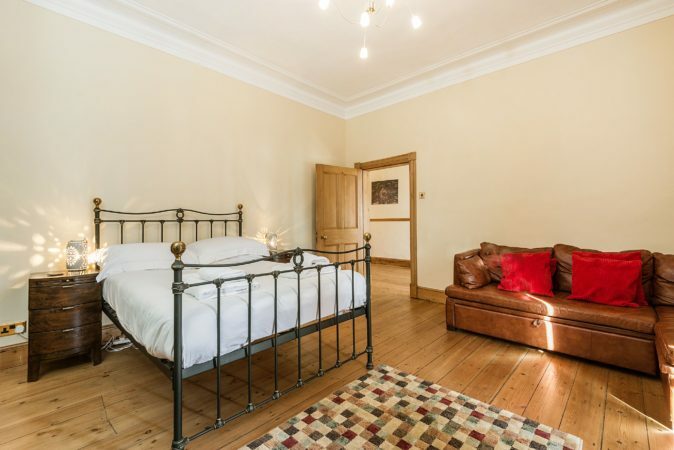 Whilst there are four steps into Palmer’s, the two ground floor bedrooms – one with a walk-in en suite shower room – are incredibly plush for guests with reduced mobility. 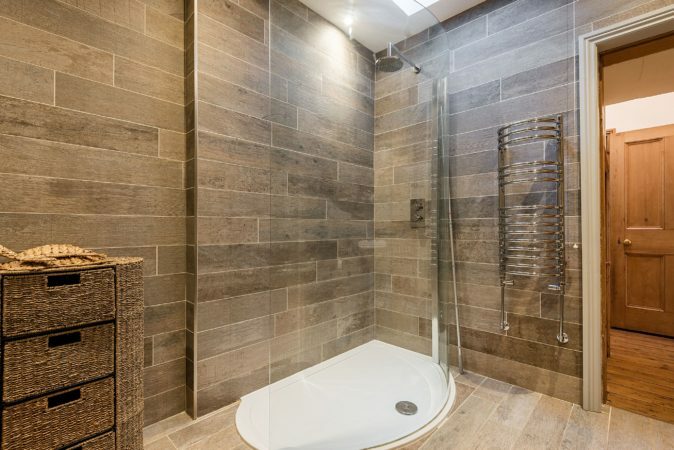 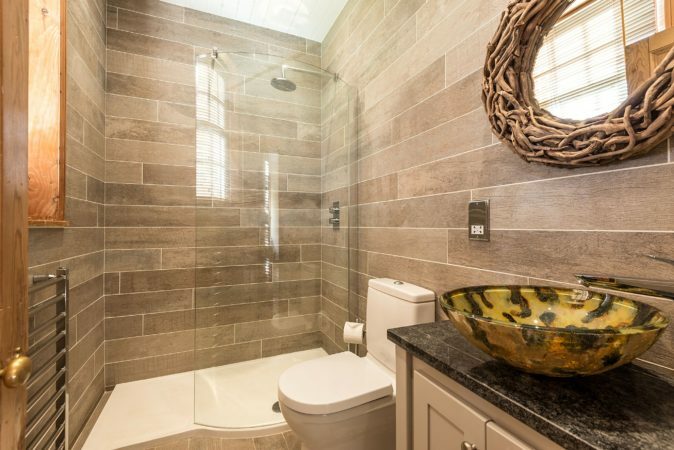 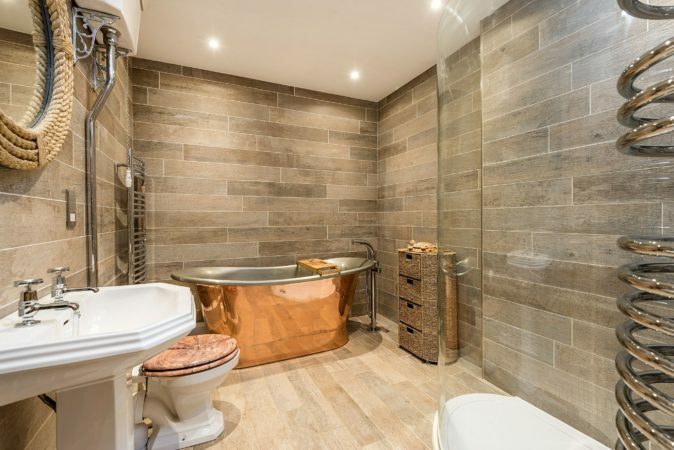 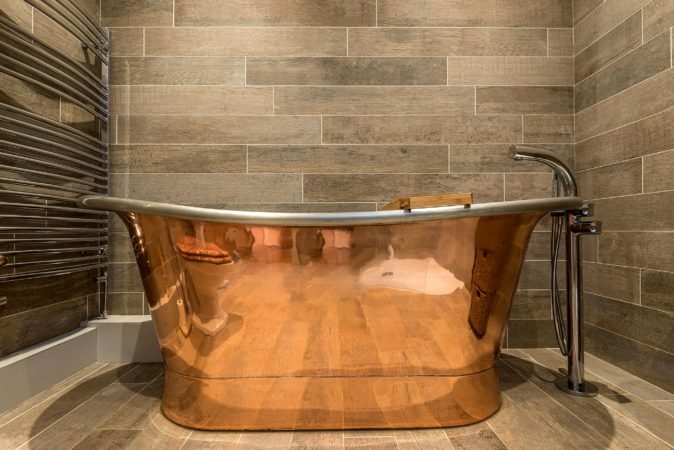 If you prefer a long soak, the family bathroom boasts a freestanding copper bath, adding to the amazing décor. 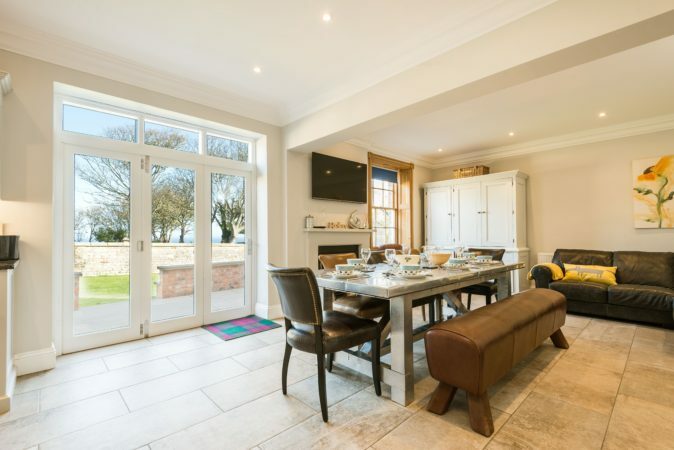 The beautiful blend of hard floors throughout make the house practical for dogs too. 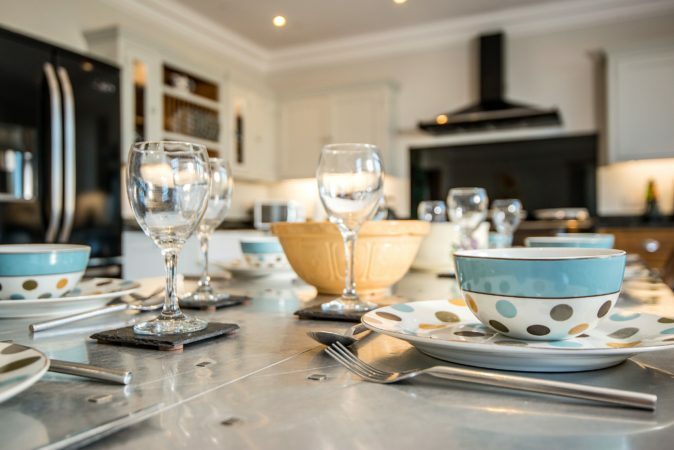 You’ll most likely spend your time socialising at Palmer’s and the bespoke kitchen diner lends itself to group feasting. 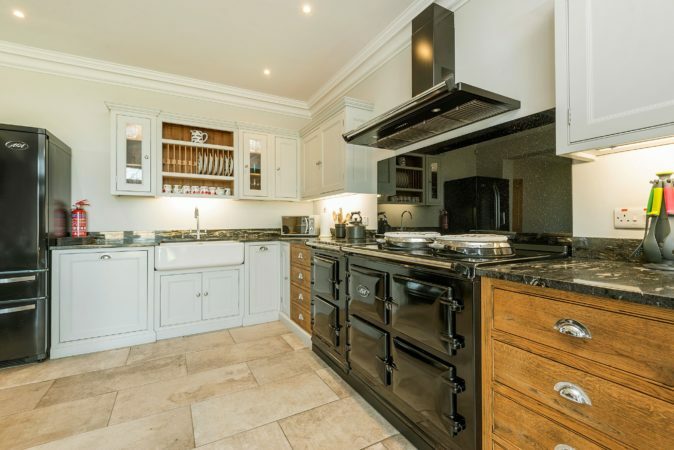 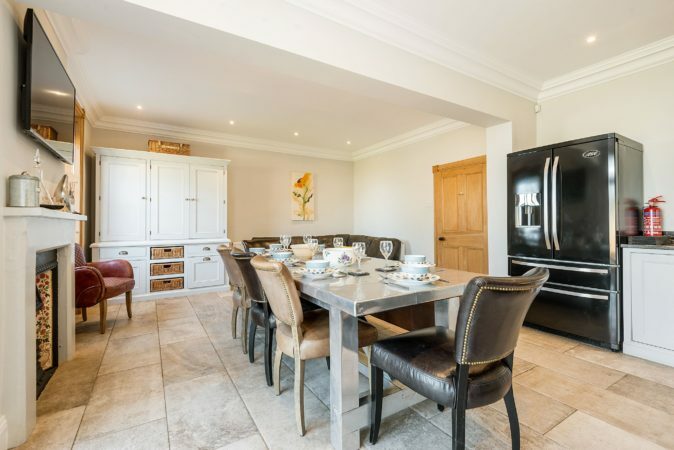 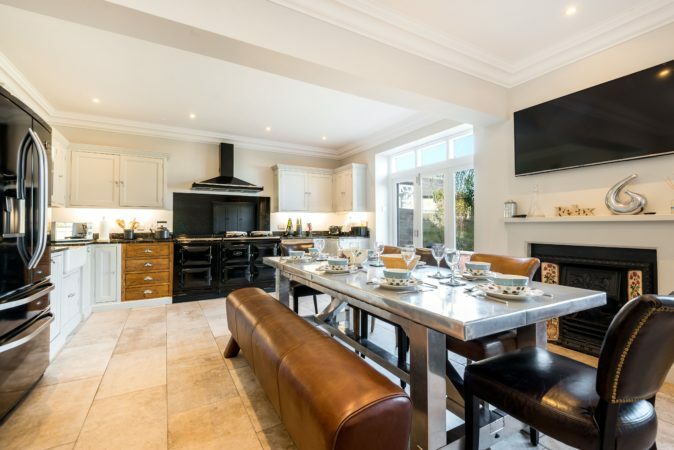 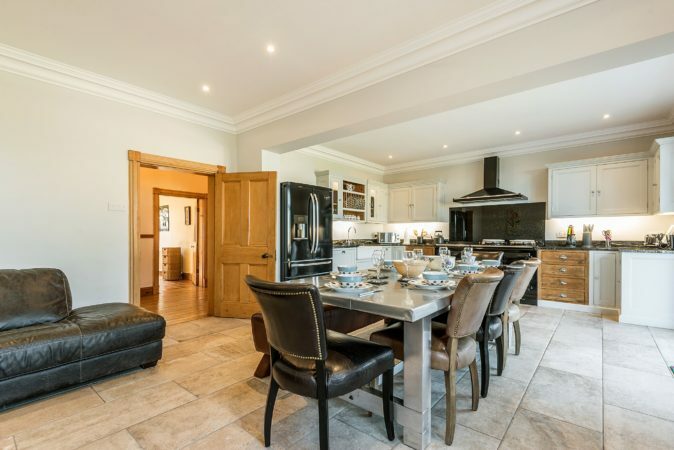 There’s plenty to please amateur chefs: an electric Aga (plus an extra oven) a huge fridge and tri-fold doors to spill out into the terrace where you can admire the sea view. 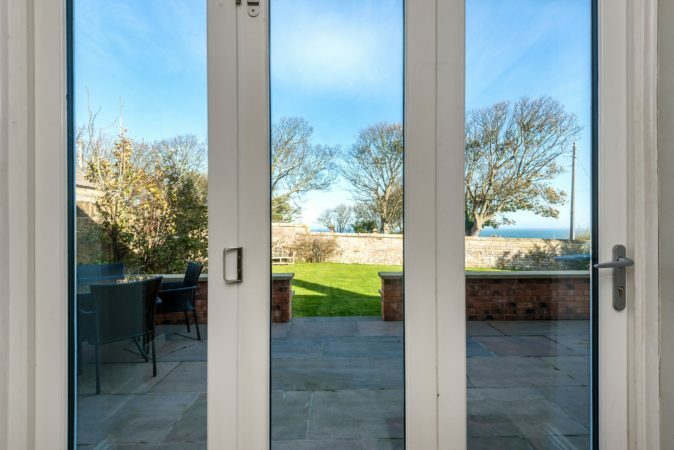 The lounge French doors open out to the half-acre walled garden that provides shelter when you want to sit out. 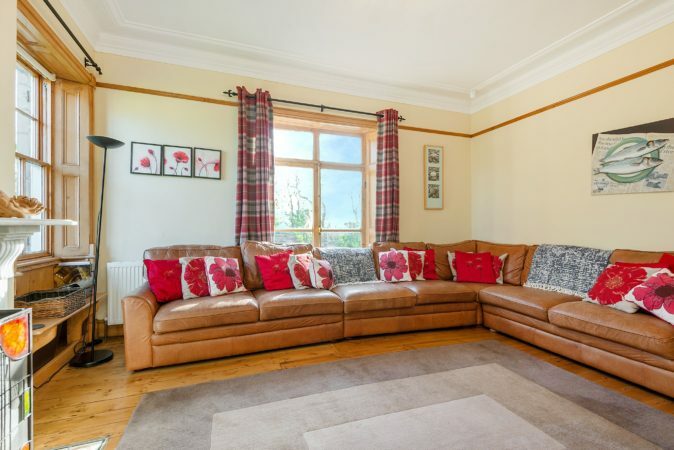 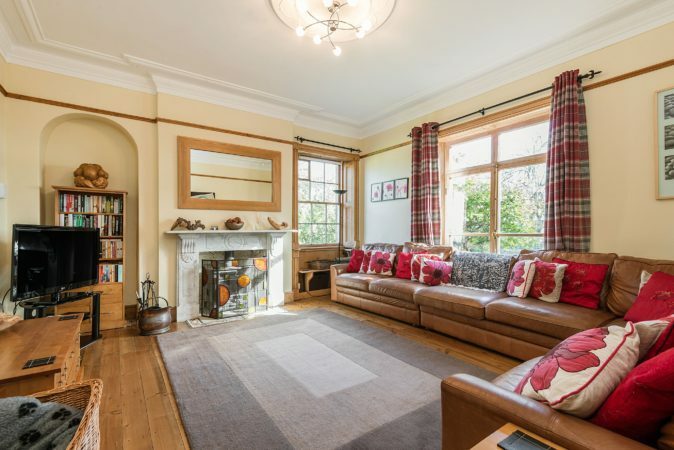 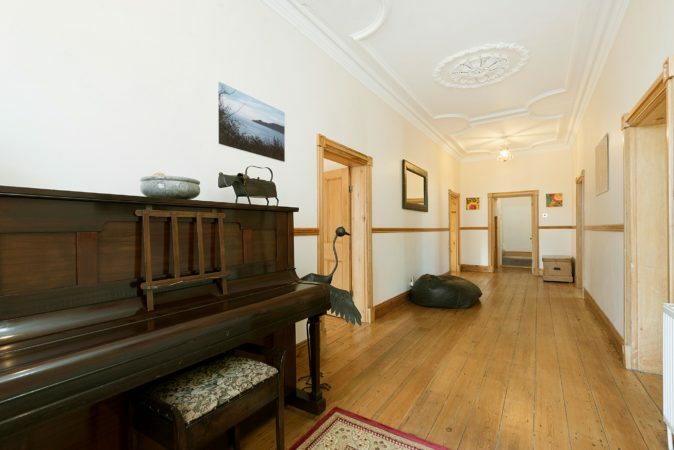 Those who want a quiet corner have an extra sitting room, with a warming log burner, Freeview TV and Wi-Fi. 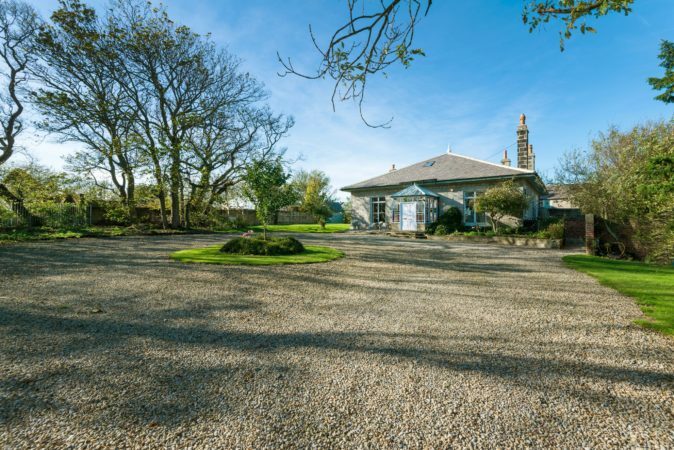 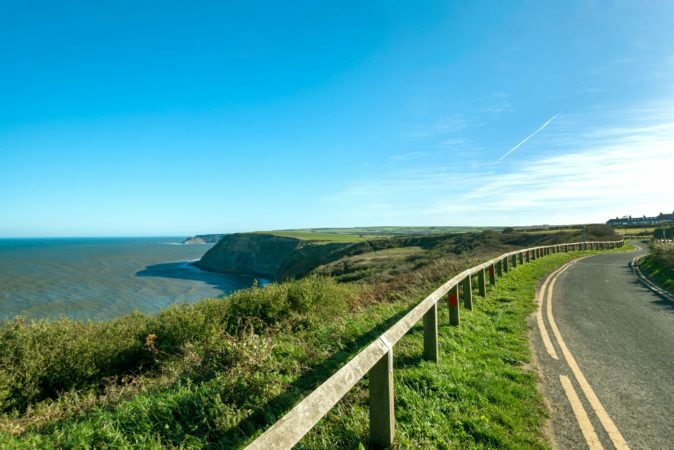 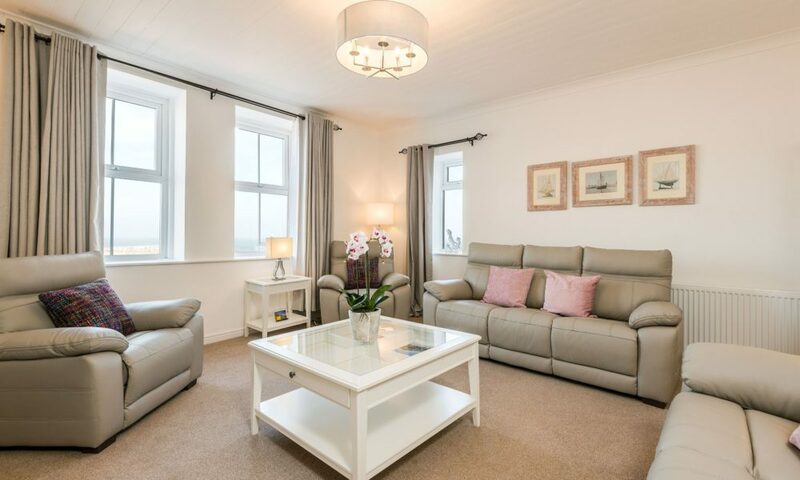 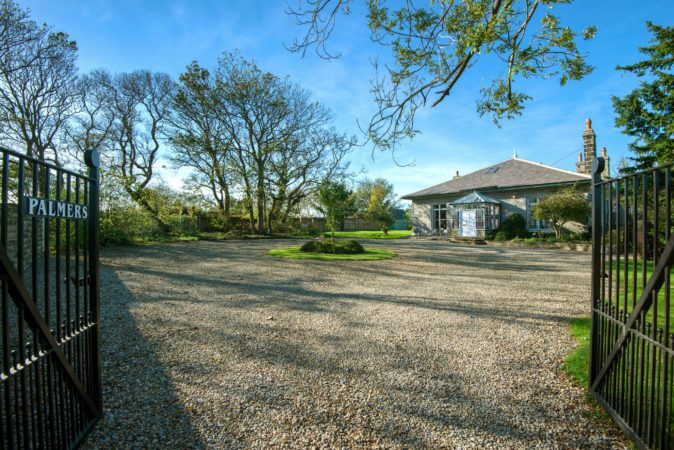 With coastal and countryside surroundings, and parking for 10 cars, you have all the space you’ll need. 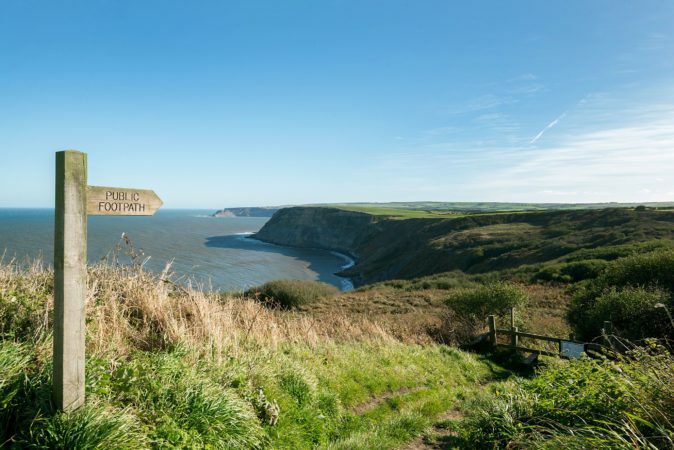 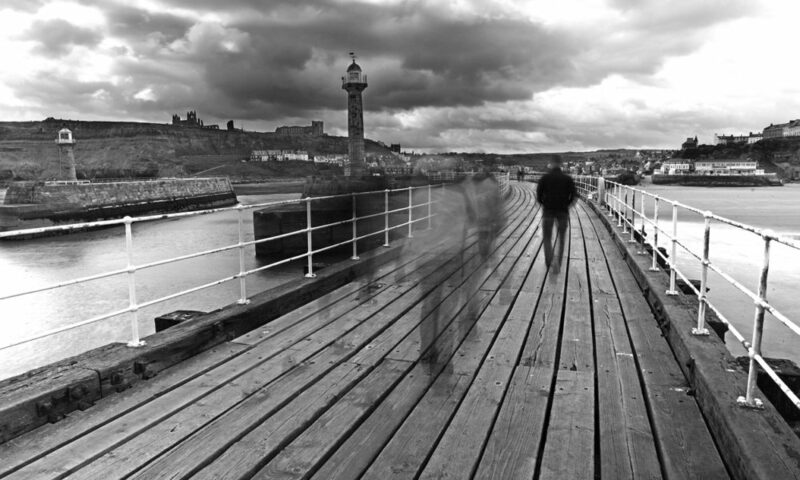 Scramble down to the beach or hike a couple of miles to Staithes or Runswick Bay. 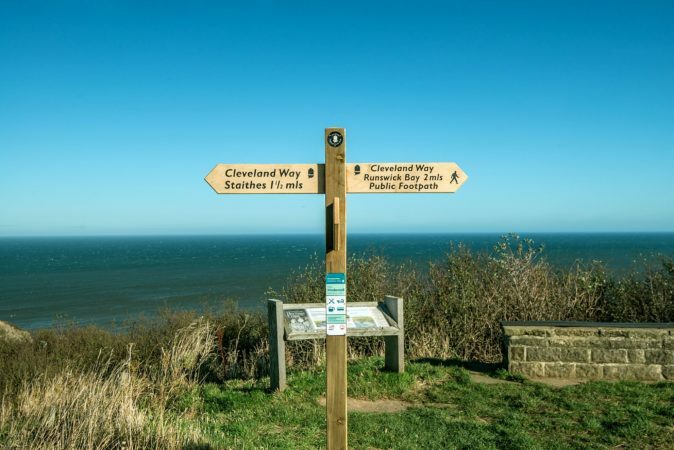 The Cleveland Way National Trail is right on the doorstep and brilliant for dog walks and youngsters. 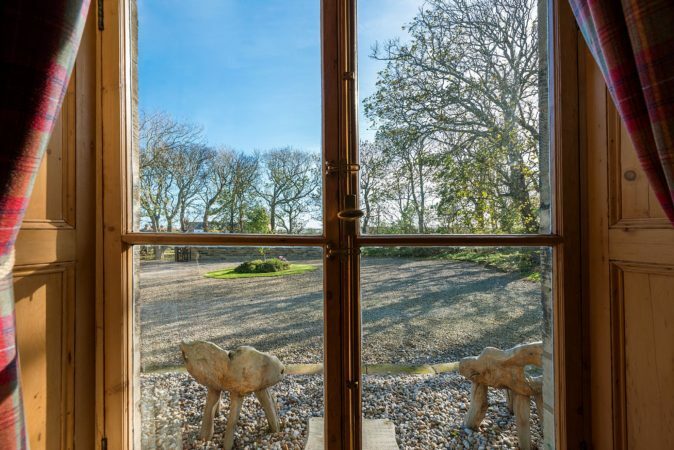 For good food, we like the Badger and Hounds, a 10-minute stroll, or The Ellerby Hotel and its lovely garden.